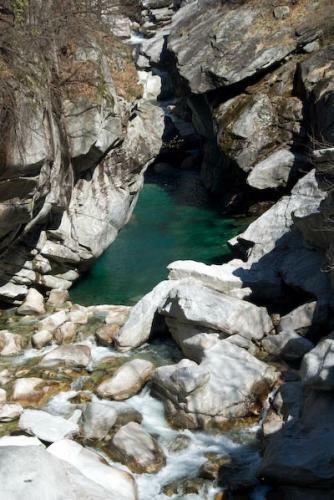 The Verzasca valley is situated in the geometric center of the canton of Ticino. 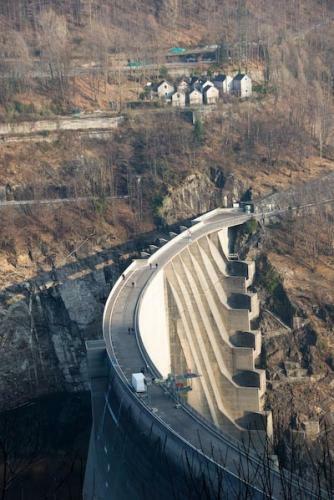 It is surrounded by the Alps with passes to the neighboring valleys at the altitude of 2000-2500m and has a single access road from Gordola (near Locarno). The valley is very narrow (V-shaped) and extends north for about 25km. This geographical position and a very narrow valley floor is the reason for a very limited infrastructure. 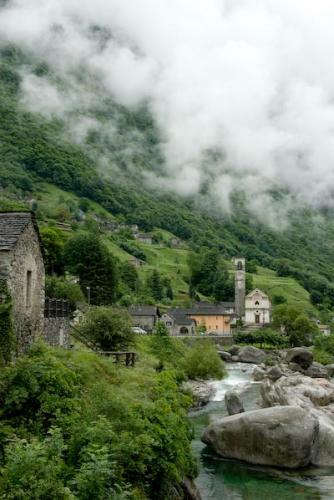 Verzasca is considered the wildest major valley in Ticino - one that preserved its original beauty and traditional architecture in form of old stone houses (rustici). 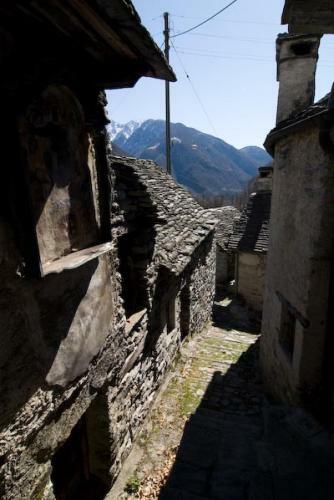 These stone houses rented by individual owners or Verzasca Rustici (valley's accommodation agency) make up for the majority of accommodation available for toursism. See the accommodation section for more details. 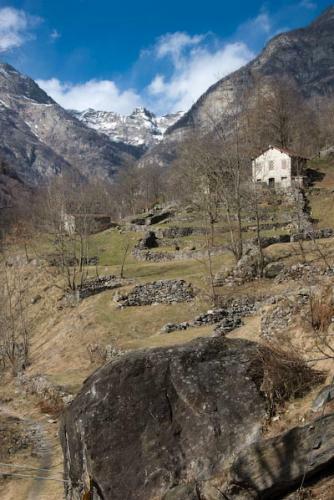 See the full list of villages in the Verzasca Valley along with points of interest. See the full list of our recipes for traditional dishes from Verzasca/Ticino.